It seems that every year, Christmas decorations are displayed in stores earlier and earlier. Halloween candy barely hits the shelves when green and red start edging out the orange and black. Thanksgiving dinners are still warm on the stove, and shoppers are lining up to get the best Christmas deals in stores. In the past, Christmas decorations weren’t displayed until the last float in Macy’s Thanksgiving Day parade was garaged. Snoopy and football signaled turkey time, and Santa waved in the next holiday. Thanksgiving weekend was spent hanging lights and dangling from ladders, and shopping began in earnest. Has the reason for celebrating Christmas become more of what you can get, than what you have? Here are 15 suggestions for how to become more gracious than greedy in this season of miracles. One-click shopping. Pre-ordering. Overnight express. Same-day shipping. Black Friday. Cyber Monday. These terms have all become part of the millennial generation’s holiday shopping language. It is a generation of instant gratification and it has made people greedy. Out with the old, in with the new is no longer about ringing in the New Year. Instead, it is about cellphones, laptops, tablets and computer games. Instant gratification has become the norm, and also throwing away what was new just months ago. A survey of shoppers showed that 87 percent would switch to another company due to shipping delays. Shopping local could provide faster gratification than online shopping, but small stores can’t compete with more choices and lower prices. 1. Make a commitment to shop only in local, small-business stores. 2. Make or bake all your gifts for family and friends. 3. If your family tradition is to open gifts on the 24th, open them after attending a Christmas Eve church service. 4. If your church isn’t having a Christmas Eve service, attend one at another church, or go Christmas caroling as a family. 5. Instead of opening gifts early Christmas morning, enjoy breakfast with your family first. You’ve probably seen your own children receive a gift, and then be more interested with playing in the box. In a time where too much is not enough for some children, many have more than they need. At the opposite end of the spectrum, some children would be happy to just have a warm coat or a hot meal. The economy is slowly improving, but there are still families everywhere that have been hit with hard times. Joblessness. Financial worries. Unexpected car repairs. Health issues. It doesn’t take much for a family to suddenly find themselves struggling. It is easy to take things for granted when you’ve never had to do without. In the time it takes for a tornado, flooding river or wildfire to change direction, all that could change. You only have minutes to grab the things you can’t live without. Suddenly you realize that it isn’t the things that are most important in life. It’s the people. 6. For every new toy, have your children donate two older toys to a shelter. 7. Instead of exchanging gifts, donate the money you would have spent to a local charity. 8. Volunteer to serve Christmas dinner at a homeless shelter. 9. Donate clothes in good condition that no longer fit, especially winter coats, to a homeless shelter. 10. Contact local nursing homes and purchase gifts or toiletries for any clients without family. Christmas may be celebrated in December, but the reason for the season is one that should be celebrated every day. Grace was given with love, and it is love that allows grace to be given to others. 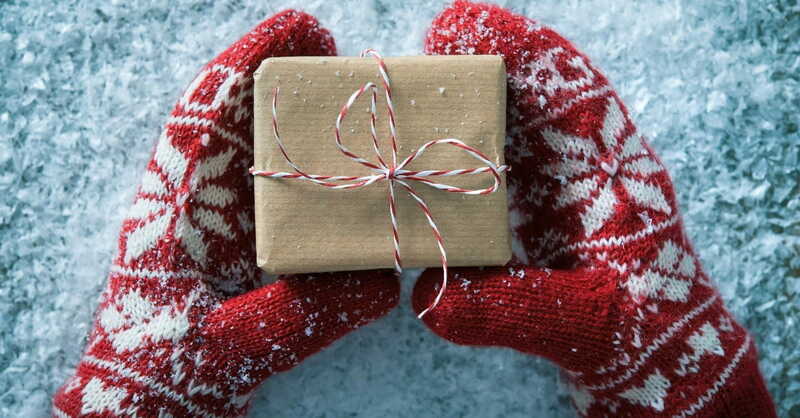 The greatest gift you can give to another isn’t one that can be wrapped with paper and ribbon. It is forgiveness wrapped with love. For some, forgiveness may be a difficult thing to give. Just keep in mind that forgiving someone isn’t necessarily about them, it is about finding peace for yourself. Realizing that may make it easier to give, and you don’t have to let the other person know. You can choose a time in the future to tell them, or not. Ultimately, forgiveness is a gift you give to yourself. Some of the best gifts don’t require spending any money at all. Time is one thing everyone has a limited amount of, and how you choose to spend it can be priceless. Creating memories by spending time with someone is a gift for both of you. The holidays may be a perfect time to spend with those you love, but don’t let your gift of time be spent exclusively on the holidays. Spending time with someone is something that can be done any day of the year, and doesn’t have to be face-to-face. It’s a time when conversations take place in short text messages and not IRL (in real life), and LOL (laughing out loud) is done alone. Taking the time to handwrite a letter or make a phone call can be not just a gift given, but a gift received. 11. Commit to writing a letter of appreciation once a week to someone who has influenced or mentored you. This could be a pastor, worship leader, teacher, relative, co-worker, former boss or a neighbor. Share with them how they changed your life. 12. Make one phone call a month to a family member or friend you have not spoken to in the past year. Catch up on each other’s lives, and share memories that make both of you laugh. 13. Be an encourager. Put notes in your child’s lunch or your spouse’s purse or briefcase telling them how proud you are of them. If your spouse doesn’t work, leave a note on the coffee pot or tucked in the pages of a book they are reading. 14. Spend time doing something your children or spouse are interested in. Go to a museum, sports game or musical. 15. If you know of a family member, friend, caretaker or neighbor that is struggling with health issues or a loss, bring them a meal. Babysit, or sit with an aging parent, so they can run errands. Offer to clean their house, or help in another way with tasks they can’t do. Christmas is a season for giving, and there are many ways to give that don’t involve spending money or expecting something in return. Make your holidays memorable this year by being gracious, not greedy.